It’s gotta be frustrating when you got Y560 gift from someone close or the company you do job in gave you Y560 and when you try to put your sim in that phone it gives an error of “sim network unlock pin” because you didn’t buy Huawei Y560 unlocked and now you’re thinking how to unlock Huawei Y560? You don’t have to bear that stress anymore. Now you can sim unlock Y560 very easily and effectively. You ain’t gonna unlock Huawei Y560 for free but you can get it done pretty cheap with us. We are going to assist you in whole process and you’ll get sim unlocked Y560 in no time. How To Unlock Huawei Y560? The method we and most sensible people choose to unlock Huawei Y560 is by sim unlock code. The reason why most people choose this method is that its the only legal method of unlocking Huawei Y560 that’s allowed by government regulations and by network providers. Its a hassle free process in which you just have to place the order and we’ll do the rest. Ordering Huawei Y560 network unlock code is like child’s play. You just have to fill the form on product page by typing your IMEI your email address and your name. Just make sure all the details are 100% correct by checking it 2 3 times. After you are sure, go ahead and place the order. 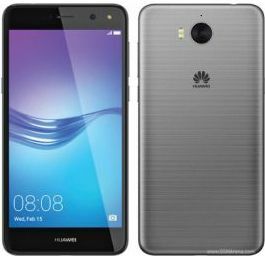 How To Check IMEI # Of Huawei Y560? You can find IMEI # of your Y560 by dialing *#06#. The details on how to find IMEI number of your phone are discussed. How To Use Network Unlock Code For Huawei Y560? After processing your order we’ll send you network unlock code on your email to unlock Huawei Y560. You just have to insert a new sim card and “sim network unlock pin” will pop up, just write the IMEI number we have sent you, before pressing enter kindly check that you’ve typed the correct number. Then just press enter and you’ll get unlocked Huawei Y560. This is the only permanent unlock method and your Huawei Y560 will never be locked again. You dont need any technical knowledge to perform this unlocking and the resale value of your Huawei Y560 will be elevated because of better functionality. You can check more benefits of unlocking your phone here. There are no risks in unlocking your Huawei Y560 if you follow all the instructions carefully. This is the safest method to unlock your Huawei Y560 because you don’t have to make any software or hardware changes.You can read more on risks involved in unlocking process here. Why Unlock Your AT&T Mexico Huawei Y560 By LetsUnlockPhone.com? At Letsunlockphone, we have the reputation of satisfying our customers with 100% satisfaction rate and our staff can assist you in any case 24/7 via live chat or email. We are specialists when it comes to unlock any phone from at&t whether you have usa at&t phone or mexico at&t phone. We don’t unlock security lock on at&t phone, we only unlock sim network lock imposed by at&t on your device. You can check specs of AT&T Mexico Huawei Y560 here.